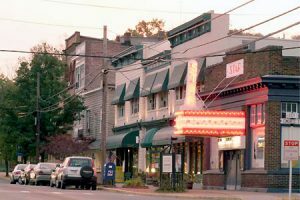 The iconic Star Theater of Berkeley Springs, West Virginia is up for sale. Star Theater owners Jeanne Mozier and Jack Soronen have decided that after 40 years of showing movies every weekend, it’s time to call it quits. The technology went from the flame in the projector to digital in 13 years. Mozier said that the Start Theater pays a percentage of the gross to the studios – 35 percent to 65 percent – depending on the movie, depending on the studio.